Debbie Lamontagne of North Andover School of Dance has been sharing the joy of dance and gymnastics with the children of North Andover for over 43 years. North Andover School of Dance first opened in 1975 at the Grange Hall in the Old Center. She moved to Main Street and then on the top floor of the old St. Michael’s School on Main Street and has been a staple of downtown North Andover ever since. Debbie expanded to a location on School Street before growing again into her current location on Belmont Street, where she has been teaching dance and gymnastics to all ages and abilities ever since. From day one, Debbie’s goal has been to teach her students the joy of dance and instill confidence and self-respect in each dancer who passes through her studio. Debbie’s approach to teaching is to focus on warmth, compassion, and kindness and she demonstrates these values and serves as a role model to her students. Debbie has taught all levels of dance, preschool through advanced, special needs children and adults. She has taught in many after school and child care programs, choreographed many school musicals, and brought her students to perform on Royal Caribbean cruise ships and at Walt Disney World. She has won numerous awards and trophies and is most proud of the Village Hero Award from the Massachusetts Society for the Prevention of Cruelty to Children (MSPCC) for her contributions to children and their families of our community. North Andover residents enjoy annual performances from NASD dancers at the Fall Festival and the Santa Parade and Debbie and her teachers participate in North Andover’s National Night Out each summer. Debbie is committed to the school and its dancers giving back to the community in numerous ways. Dancers perform for the residents of Brightview North Andover, as well as other senior living facilities in town. NASD also performs yearly at the Move for The Movement, a dance celebration and fundraiser to benefit the American Cancer Society. Debbie also donates free weeks of dance classes to several different North Andover elementary school and youth program fundraisers. Debbie is incredibly passionate about what she does and dedicated to her community. North Andover School of Dance serves as a place of support, encouragement, and acceptance for children and adults of all ages. 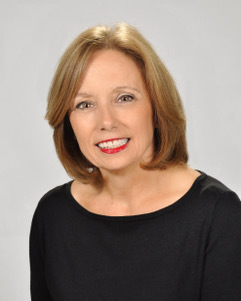 She has taught the joy of dance to hundreds of children from North Andover and the surrounding community and, after 43 seasons, many of her students these days are the children of former dancers who grew up with a love of dance from their days at NASD.